Live in the moment. With and without technology! This debate was very difficult for me to pick a side I agree with. As a physical education teacher I often find myself telling my students to unplug, go play, enjoy nature and limit technology use. However, I am a self-declared hypocrite because I will often be outside playing with my son with my phone in hand or phone close by. I am the first to admit I am guilty of becoming too dependent on technology. I am the kind of person that drives home to get my phone if I forget it. However, on the flip side I think that if I got accustomed to not always having my phone on hand, I might actually be able to relax, enjoy and soak in the special memories with my family. The agree group made some valid points; I found I could relate to some points more than others. One example they discussed was going out for dinner with friends. The purpose is to go out with friends and socialize with one another and yet there are times where there is no conversation happening because they are attentive to their phones rather than their friends. Our phones have become a distraction in many instances and it is up to us to minimize these distractions and limit our technology use to the appropriate times and places. I have experienced trying to have a conversation with someone when they are distracted by their phone, the feeling of loneliness and unimportance of what I have to say to them leaves me feeling secondary to their phone conversation. I have made a conscious effort and commitment to keep my phone put away when having face to face interactions with family and friends. I do keep the ringer on in case of emergency; however, I am making a decision and taking the effort to value the importance of these relationships and refraining from using technology. It is quite interesting that this group discussed that we have become too reliant on technology and are unable to perform simple tasks without digital knowledge. I actually laughed out loud when they said this. I immediately thought of before our son was born. I remember buying a ton of things that needed to be built and rather than simply reading the instructions to build these items I quickly YouTube “how to build _______” and told my husband how to do it. In reality we should have been able to sit down, read the instructions and build what needed to be built. However, it was much easier and convenient to You Tube and have someone walk us through it step by step. In this situation, we have become too dependent on technology. The topic of capturing moments via technology rather than capturing them with your own eyes really hit a nerve with me. As a first time parent selfishly I want to capture as many things on my device as I want so I can share milestones, growth etc. with family and friends. Word of mouth doesn’t have the same impact as being able to share those moments with people you truly care about through technology. I am guilty of capturing many things through the use of technology and I can’t really say I have any regrets for doing it. I have said many times, everything is in moderation. Ashley spoke about a lady in front of her at the Garth Brooks concert recording the whole show on her device when in reality she was missing a live show to watch in through the lens of her phone. Capturing a few moments here and there isn’t the problem. I think it is when we are constantly looking through a lens and not living in the moment, in the real world, then it is a problem! I would like to touch on the fact that technology has become an addiction for some people. Like anything in life, everything needs to be done in moderation. If you are finding yourself addicted to technology, maybe the best thing to do would be to unplug for periods of time or limit your technology use throughout the day. There are many options for people who feel they are too wrapped up in technology. It’s just a matter of making changes and adjustments to your life. The disagree group had many arguments that were valid and worth taking a look at at as well. They suggested that we do not need to unplug to have balance. We can find balance in our lives with the use of technology, we just need to use it in moderation and incorporate into our lives when necessary. We can achieve balance while plugged in; technology is a tool we use and we don’t necessarily have to unplug to be mindful. The group suggested that our digital and physical worlds are the same therefore it is virtually impossible to unplug. When I think about this statement, I think about kids who go to school in real life, they deal with bullying and then go home and faced with bullying online. There is no escaping as our worlds are combined. One statement they used that I don’t agree with is ‘who we are online and offline are the same’. The first thing that comes to my mind from this statement is the show “Cat Fish.” Someone can portray themselves to be someone online but in reality they are a completely different person. There are many people who use technology as a tool to enhance/make changes etc. to themselves and their lives. They want to portray themselves as desirable to others. As an educator and a parent, I think it is essential that we let children, adults and others know what they see online is not necessarily what they see in person. I have said it time and time again and I will continue to do so, EVERYTHING IS IN MODERATION. Technology can be a great addition to our lives, however, we need to be mindful that it is not the be-all and end-all. We still need to have face to face interactions, build and make friendships in real life and be able to perform simple tasks without the use of technology. I am not saying that we should never use technology but we need to use it in moderation. If you forget your phone at home, is it essential that you turn around to go get it? NO! Try a day unplugged, who knows maybe you will feel relaxed, enjoyable and with a lot less stress. I would like to thank both groups for presenting great views, opinions and research to support their sides. I really enjoyed the debate but once again I find myself left on the fence on this debate. Author jaymeleelazorkoPosted on June 23, 2016 Categories EC&I 8302 Comments on Live in the moment. With and without technology! This class has been an amazing learning experience for me. This was my first online class and I can say I thoroughly enjoyed being able to connect with my colleagues via technology. I have learned a significant amount in regards to educational technology and our world, classrooms, home lives etc. I had the opportunity to learn how to create a blog (with entries), however it was not until recent that I discovered you had to approve of peoples comments. I guess that is all part of the learning process, one thing at a time! I was able to work with my group to create a Prezi (my first time doing this) and can say I thoroughly enjoyed it. There was a significant amount of learning that went on for me throughout this very short and quick semester, I plan to incorporate my learning into my personal and professional life. For the summary of learning my partner and I created an animoto (my first time doing this as well). We worked together as we shared similar opinions, things we had learned etc. throughout the course. I won’t go into depth as to what we have learned throughout this semester as we would love for you to check out our summary of learning. I hope you all enjoy our summary of learning and have a well deserved summer break! The debate in regards to corporate involvement was quite interesting and once again I found it difficult to pick a side that resonated with me. Corporate involvement has been happening in schools for many years now; having a wide range of involvement from corporations such as Duracell, milk, Pizza Hut, Coca-Cola, Pepsi etc. Often corporate involvement is seeking to make money and advertise rather than doing what is in best interest of our students. Corporations who become involved within our schools need to use our school space to advertise, to provide their product etc. 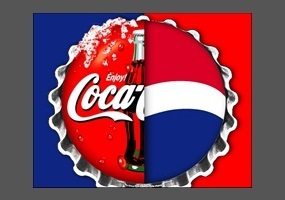 As a health and physical education advocate I look at Pepsi or Coke as an example. I find it hard to say no to corporate involvement because we need money; we need equipment and the things these corporations are providing for us we wouldn’t be able to afford otherwise. However, on the flip side, offering products that are readily available on a daily basis that are not the most nutritional are definitely attributing to our high obesity rates among students. It is very difficult to say corporate involvement, equipment and programming is more beneficial than the health and well-being of our students. One example provided by the agree group was Pearson, this does not fully align with curriculum. Should we as teachers be focusing on using tools, products, equipment that aren’t directly related to our curriculum? That is another topic to be debated! Corporate involvement can have a huge impact on our students. Watch to see how corporate involvement and volunteering has changed this club. They discussed always having some sort of relationship with private companies and how controversies began with soft drink score boards. They found it hard to say whether it was an entirely negative experience as both sides gained positive things from the experience. Corporations work to develop closer relationships with schools. Between the corporation and the schools they need to have shared understandings in regards to involvement, products etc. The job and goal of corporate involvement and schools is to help children to have the necessities to learn at their full potential. There was talk that suggested there has been a lot more controversy and moral dilemma in equity. There have been decisions made not to offer opportunities to certain schools because they cannot offer the same to other and/or all schools. One of the biggest discussions surrounded relationships. As teachers we know the value of relationships, however, do corporations know the value? Our guest speakers suggested often times before corporate involvement can occur, a relationship needs to be created and goals need to be clearly outlined. How do schools and corporations work together in a partnership to meet these goals? How are these relationships created? All of these questions need to be answered before a corporation is able to have a successful impact within a school. Even if corporations are doing what is morally right, often times they are in it for the money. Are they really doing what is morally right or are they doing what they think is right for their corporation? As teachers we are part of the problem. We are willing to directly market to kids, an example of this would be when we pass out scholastic book orders. Our budget was recently cut, however the amount of money that is sent to Pearson on behalf of Regina Public Schools is actually quite shocking! It is impossible for school districts to be able to provide everything that their partners can provide for our schools based on the level of funding that comes through the channels. Unless our funding situation is going to change, our relationships with partners are going to have to exist. I think it comes down to what both sides want to accomplish. Taking a look from both standpoints and coming to an agreement based on what is a benefit to both sides. What is our goal? If you have a goal in mind, then the likelihood is greater that you will seek the right type of relationship. I found it interesting with our discussion around private donations from families. The example provided was student’s spray painting a wall at school but the school administration was hesitant and refused to suspend because the students family had made private donations/contributions to the school. The school is hesitant to take action because if they do, that family will refuse to contribute or donate money in the future. Without these contributions the school is unable to offer some of the equipment, tools, programming etc. that they are currently offering. What are we teaching these kids, that money can buy anything? I want to briefly touch on the discussion and information that our guest speaker provided to us tonight. First, she apologized for many of her statistics were based out of the U.S., however, immediately when she said this, my thought was I bet the statistics are quite similar here in Canada. She said our primary purpose for using technology in classrooms is to test students. What if as school boards we moved away from testing, are the tests actually providing good, factual, REAL information based on each student? Honestly, I don’t think so!! Often we forget about the history of education and technology. As teachers we need to remember that technology has been existent within our classrooms for many years, although it may have been very different back then, but it was still there. She suggested schools need to be run more like businesses, measured and controlled. We often have this notion as teachers that data is going to fix schools. The data is going to show us how people learn, it is going to identify the best teachers, it is going to show how successful people are, or where people fail. We seem to think this data is the be all and end all, when in reality it isn’t. Just because my class didn’t score well on a test doesn’t mean I am an awful teacher and it doesn’t mean they aren’t smart. There are a variety of things that might affect performance on a test and we cannot expect all of our students to be tested in the same fashion and on the same things and they will all do well. I really appreciated her taking time out of her busy schedule to come share and discuss with us. I believe as teachers we have a lot to think about and how we can use technology in our classrooms to benefit our students and their learning. I was able to resonate with this topic because it was similar or had many similarities to the topic I debated a few weeks ago. I do think social media has both negative and positive impacts on childhood that are worth looking into. However, even after a thorough look into social media I am still unable to come to a conclusion as to whether or not it is really ruining childhood. Social media (internet in particular) has been to blame for children growing up too early. Children and expected to follow trends which in turn forces them to mature and grow rather than spend time being children. Social media as many of us know, has a major influence on our kids today. The things that students/children are able to see, follow, look up are sometimes positive but more often than not social media is portraying negative influences for our children. As a health/physical education advocate, I do believe that it is essential to find a positive role model, someone to look up to for support/guidance. In most instances the internet/social media is often portraying the wrong role models for our young men/women and children. People always talk about “well when I grew up….” When my grandparents grew up technology wasn’t even on the radar. When my parents grew up they had a television with a few channels and a home phone. When I grew up we had television, internet, phone, cell phone, Nintendo game station etc. Not to undermine or devalue the importance of each individual’s life experience but we do need look at how society is evolved. Technology has come a long way and has slowly been integrated into our world. Rather than constantly battling against it we need to find ways to incorporate it into our lives. I am not saying that everyone needs to be around technology 24/7. I do think technology does offer some positives and everything needs to be done in moderation. It is my goal to raise my son with the inclusion of technology and not to always say “well when I was younger we didn’t have that, you should be outside playing all the time like I was”. I want to teach my son and my students how to be good digital citizens. What a better time to start than now! Starting now will allow them the time to grow, learn and develop into these great human beings! One really great point raise by the agree group was that cyberbullying is part of technology. Bullying has always been a part of our world, however, prior to technology students were able to leave school and the bullying would stay there. Now with technology they are constantly immersed in bullying and have no way of escaping. I don’t know what the answer is, other than working as a team. Between school and home we need to be working together and monitoring bullying. We need to be consistent in providing consequences which will hopefully get through to our kids that we are working as a team and bullying is not tolerated at school, at home or online! Creating digital footprints (or permanent tattoos) has been a reoccurring theme throughout these debates. I do believe students are given an opportunity to create their digital footprint. I hope through our teaching and role modeling we will be able to provide them with the necessary tools to make good decisions online that will benefit them in their future rather than be detrimental. Technology often leaves us feeling puzzled. When communicating through the use of technology it is hard to understand the tone of voice, sense of humor, body language etc. Face-to-face interactions are offer better opportunities to understand/see one’s body language, voice and tone in order to interpret the message being sent. From my own experience, I have had a friend message me and I remember thinking well that was kind of rude; however, that wasn’t her intent but because it was through text message I was unable to see/hear her tone, see her body language etc. I think in order to keep social media from ruining our childhood we need to take advantage of teaching our students early on in life. There has been no set age limit for the use of technology and because we are not going to escape it any time soon, we may as well start teaching them to be good digital citizens before social media gets to them! When used appropriately, social media enhances childhood (offers sense of belonging that they do not always find in their immediate surroundings). Easier to make friends online, more opportunities for peer to peer sharing and growth. Tool to showcase creativity. It does not ruin childhood, it compliments it, makes it more fun and interesting! Author jaymeleelazorkoPosted on June 13, 2016 Categories EC&I 8301 Comment on Moderation, Moderation, MODERATION!!!! Deciding what is best for our children/students is key! Does technology create equity in society? In all honesty, I really do not know. After being presented with two different opinions on the topic, I am still undecided as to whether it does or it doesn’t. Both debate teams raised valid points supporting their decision as to whether or not it creates equity in society. Technology creates equity by offering support mechanisms for people allowing them a variety of opportunities and chances to be successful in both their personal and professional life. Technology has offered numerous opportunities for in my life to grow personally and professional. I have been able to take online classes, do professional development online, participate in various online training courses etc. All these opportunities have aided in me becoming a successful young person within our society. One point raised was that people are no longer getting value for their money by attending University, valid point! I find it very frustrating that I have to pay all the fees etc. particularly the gym fee when there is no way I will ever be using the gym at the University. By taking online classes some of these fees may be voided or limited to some degree. There are several places around the world that do not have easy access to education like we do; as Canadians we are very fortunate to have this access. Technology may offer opportunities for citizens of other Countries to further their learning, development and education. One point raised by the agree group supported the idea that technology was increasing access to healthcare for some who were unable to get it previously. When I think about this, I bounce back and forth because if there is a country that is unable to afford or have healthcare, are they really going to have the necessary technology that will enable access to healthcare? One of our classmates discussed the importance of using of technology in education. He works at an institute with many students who have disabilities, these students often use some form of assistive technology to aid in their learning. As an educator I have witnessed on many occasions where technology has benefited and increased the learning experience for our students. Like many other topics discussed earlier, I think with technology it comes down to teaching our students how to use it properly, respectfully and responsibly. There were many great points raised by the agree side. However the disagree side did an equally good job in validating their point of view on the topic. One really important topic discussed by the disagree side was the fact that not everyone has access to effective technology; those who are already privileged often have access whereas those who are not often do not. Working within a community school I have seen this on many occasions. Our students are able to access technology at school but when they go home they do not have access to technology. As a teacher in this situation it is important to recognize this and change your expectations based on what you know students have and do not have at home. Schools often have some form of technology, however not all school(s) divisions receive the same amount of funding. If we want to find an equal playing field for all, is there a need to offer more funding, supports etc. to some schools and not to others? In respect to assistive technology, we have agreed that it is great, the problem comes up with is the assistive tech inclusive for all students with disabilities? If we as teachers are not properly being trained in using the technology, are we going to benefit our students? Some other topics of discussion that resonated with me throughout this debate were that technology provides opportunities for students and people in general to see parts of the world that they normally wouldn’t see. It allows them to have a voice; allows them to see and decide for themselves what is right and what is wrong. One reoccurring concern was access; those who do not have access are falling behind, which in turn is widening the achievement gap that we are trying to bring closer together. After having the opportunity to review both sides I am still undecided. There are points raised by both sides that are valid and worth taking into consideration. I think as a parent and as a professional I will use my best judgement when it comes to the use of technology with my students and children. I believe as educators and as parents we always advocate for what is best for our students/children. If we truly believe that technology creates equity, then we need to continue doing what we think is right and what is working for us and for our students and children. Author jaymeleelazorkoPosted on June 13, 2016 Categories EC&I 8302 Comments on Deciding what is best for our children/students is key! Post or not to Post, that is the question! As a new parent and a teacher this debate really resonated with me. I was able to see both sides and was unable to decide whether I would fully agree with one versus the other. As a parent I think I have the right to decide what is right for MY child, however, in regards to sharing photos and/or videos of students, I do agree that parent consent is a MUST. Throughout the last year I have been sharing pictures, milestones, videos etc. of my son. Honestly, I never thought once about how this would impact him in the future. I can say that I have been selfish in the sense of wanting to share my pride and joy with others and have neglected to think about whether this will have an effect on him in the future. The article “Does sharing photos of your children on Facebook put them at risk?” was the first time I thought about my son and what I have shared about him so far. I admit I am guilty of sharing photos of a friends children as well, then again, they have shared photos and videos before too so I thought what could be the harm. As a parent I think I will make decisions based on what is in the best interest of my child. If I felt that sharing a photo would be detrimental to future opportunities for him, I would stop sharing. I believe in our world social media is becoming more and more common amongst communities and I may as well become a part of it and use if safely and to my advantage. I have a family that are unable to see my family on a daily basis and Facebook is definitely a way to stay in contact with us and are they are able to see the growth and development of my son. As I mentioned before, I do believe it is the parent’s choice to decide what is shared. Once the child is old enough to make these decisions on their own, and make decisions safely and appropriately then I think as parents we can pass on the reins to our children. Also from a parent perspective I can say that if my son’s picture was to be shared on a social media site (ex. Classroom webpage) without my permission, I would not be happy. There are many families that are going through issues of custody, fleeing cities/countries trying to find safe places and sharing pictures of these children without the knowledge of the parents can be very detrimental to the child and to the families. -Today’s technology makes it hard to follow guidelines and etiquette (ever changing). -Children need to know that digital footprints can be tracked by others such as employers etc. All of these points are valid and really need to be taken into consideration. However, even though these points are food for thought, I don’t think it will deter people from posting and sharing on social media. I do think however it needs to be done properly and in a safe manner for all parties involved. I definitely agree social media and the use of it is not going away and we need to take advantage of it instead of always creating a battle between us and our children/students. Being able to model, share and teach our children and students how to navigate online in a safe manner will be pertinent to their online/offline social identity in the future. One topic that was particularly interesting was the discussion about Snapchat. Is there a way of protecting our students and our teachers in our classrooms/schools with the use of such applications as Snapchat. I know in our school we have completely banned the use of cell phones within our school unless the student’s teacher has given them permission to use it. I know as a teacher I would be very upset if students were taking videos and/or photos of me without my knowledge. I am still undecided as to whether there is a way to use the technology in our classroom and prevent these types of outcomes. There may not be a clear cut answer, but we can teach our children how to use technology appropriately, respectfully and safely. Overall it comes down to being good digital citizens. This can be taught to our children by how we as parents and teachers model, share, involve and teach our children to use technology. We need to work together and move towards a future that involves the use of technology because that is our reality! Author jaymeleelazorkoPosted on June 7, 2016 Categories EC&I 8301 Comment on Post or not to Post, that is the question! Technology is making our children unhealthy! I was fortunate enough to participate in this week’s debate about a topic that I am very passionate about. As a physical education teacher I often focus on the physical aspects however technology has also had an impact on our children’s mental health and social well-being. In regards to mental health some of the negative impacts that technology has on our children are: lack of sleep, suicidal thoughts, addictive behaviours, increase in aggression, depression, anxiety and hyperactivity. As an educator I often see children coming to school tired, they were up late last playing video games, watching television etc. Children are not aware that their decisions to stay up late and use some form of technology is not only affecting their sleep but it is also affecting their development, their learning, their relationships etc. Students who are tired are hard to teach as their focus is on other things rather than on learning and/or being engaged within the classroom. The social wellbeing of our students is also being affected by technology. Our children are becoming addicted to technology, they are unable to put down their phones, ipods, video games etc. and have a conversation or spend quality time with family. Student’s communication skills are on a slow decline as we are beginning to rely solely on technology and seeing fewer chances to be engaged in conversation with others. Students who use technology are unable to escape cyber bullying. Prior to technology, bullying existed however students were able to leave it at school. Today students are unable to leave bullying, they leave school and are now being bullied at home as well. Is cyberbullying leading to some of our mental health issues such as depression, anxiety, aggression, suicidal thoughts? According to a study in the United States one third of American Children are obese/overweight, technology is definitely a huge part of these numbers. When children are so heavily involved with their technology they forget about being active, playing and enjoying nature. The average child spends roughly seven hours each day watching television, playing video games, browsing the internet etc. (American Pediatrics) Children who are gaming, watching television etc. are more likely to be snacking while doing so, these snacks are often convenience foods rather than healthy choices. A study completed in 2014 by American Medical Association concluded that if the show the children are watching is more stimulating then the likelihood they will be snacking more than if the show were to provide less stimulation. The lack of exercise and the increase in snacking provides us with high obesity statistics which has direct correlation to technology. Technology has a way of reaching children with a variety of means. One significant way they have reached their audience has been through commercials. There was a report done in 2008 by the American Dietetic Association that states nine of 10 commercials during a Saturday morning program focus on low nutrient foods that have a high fat content, sodium and added sugars. These food marketers are directly targeting our children because our children do not have the background knowledge to realize these are unhealthy and detrimental to their health. Technology interferes with our sleep. We are unable to turn the television off, put our phone down etc. When we lack sleep it causes an increase in ghrelin, this is a hormone in our body that tells us when we are hungry, we also notice a decrease in leptin which is a hormone that tells us we are full. It is proven on average that a person who lacks sleep will consume an additional 300 calories a day, this is because our lack of sleep is producing more ghrelin which in turn is telling us we are hungry rather than sleepy. Staring at our phones may be hurting our backs. We are putting additional pressure on our neck that is unnecessary. Believe it or not our phones can cause blemishes. Think about the excess germs and bacteria on your phone, which ends up on your hands and eventually onto your face. Text messaging can be causing irritation or tensions on your fingers, hands, forearms. Too much screen time can strain your eyes, this can cause your vision to become blurry or dry out your eyes. As a physical education teacher I am an advocate for being physically active on a daily basis. I am finding that throughout the last 6 years of my teaching there has been a huge decrease in students who are physically active in and out of school and a significant increase of students who discuss and/or engage in some form of technology whether that be texting, video games, browsing the internet etc. Each week I leave my students with a challenge for the weekend, often times it will be to spend at least two hours each day outside being active and limit your technology use. I often get a response from students saying that is impossible! It is a goal of mine not to devalue the importance of technology or to completely ban it but to bring to light the importance of being physically active for your own health and well-being, and find ways to limit your screen time but be productive and enjoy the time when you are using your technology. Our opponents did bring up some valid points some of which included technology creates an environment where we can feel connected and supported. Technology can raise awareness through a variety of mediums, we often see things such as go fund me pages etc. We begin to feel a sense of self appreciation and are able to maintain relationships with people despite distance. They also thought that technology was improving writing and communication skills. To be honest I use technology on a daily basis and cannot imagine my life without it, however like anything in life things are okay in moderation and I do believe that technology has been a useful tool for me in my personal and professional life. In regards to the points brought up by our opponents. I do agree that technology can make us feel connected and supported, however there are instances where the opposite could be occurring. We could be experiencing cyberbullying or be involved in some negative experiences online that in turn would not make us feel supported or connected. Technology is a great way to raise awareness, nevertheless we as users need to be aware of legit sites and things going on around us and not fall into scams and people who are trying to take advantage of us. I do agree that technology has been able to maintain relationships with others despite distance. I have many friends and family who do not live close and I am able to communicate and maintain close knit relationships with them thanks to technology. Our opponent brought up the point of technology improving our communication and writing skills, to be honest I see it doing the complete opposite. Social media sites, texting, snap chat etc. are full of abbreviations etc. and I am often seeing students transfer these abbreviations and bad writing habits into their daily work. As for communication skills I also think it is doing the opposite, for one I am a prime example. I would send text messages to friends rather than calling them, what happened to an old school quick phone call that was over and done within two minutes rather than sending 20 texts back and forth to figure out the plan! Overall I think our opponent did a great job and it was a tough decision for our classmates, however I am sticking to technology is making our kids unhealthy, if they choose!!! Choice is key, students can choose to use technology in moderation which will allow them to be more active, have better mental health and social well-being. Author jaymeleelazorkoPosted on May 30, 2016 May 30, 2016 Categories EC&I 8302 Comments on Technology is making our children unhealthy!